When it comes to driving at night, having your headlights in optimal condition is highly essential for preventing an accident and keeping you safe. Also, it will allow other drivers to see your car. The very first thing you need to do for washing your vehicle headlights is to gather the materials. For this process, you will need two microfiber towels, a bucket with water, a toothbrush, and a headlight restorer. 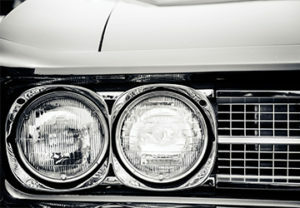 It is essential to remove all debris from your headlights before starting with the cleaning process. To do so use a glass cleaner and a microfiber towel. Apply the headlight restorer and wait until it completely dries. As soon as it is dry, it is time to remove it with a microfiber towel doing little circles. Then take the second microfiber towel and remove any headlight restorer residue left, by getting the towel wet and apply it to the headlights. At Allegiance Automotive we take care of our customer’s vehicles while we provide professional repair & maintenance service, with the highest standards in quality and unparalleled customer service. We are in business because we love cars & trucks and we want to help our customers to keep their vehicles in optimal conditions at a fair price.